The Katadyn Siphon turns any water container into a gravity-fed microfiltration system. Simply place the Katadyn Siphon ceramic filter (hose attached) into the container of water, place the container on higher ground, and let the siphon action take care of the rest. The Katadyn Siphon can be used to make a gravity system out of any water container. Place one or more Siphon filter elements into a container and let the water run through the hose into a lower-positioned vessel. Ideal for camping, base camps and emergency use. Can be used for camping, hiking, scouting, relief organizations, base camps, and more, making it a convenient filter for groups up to 10 people. 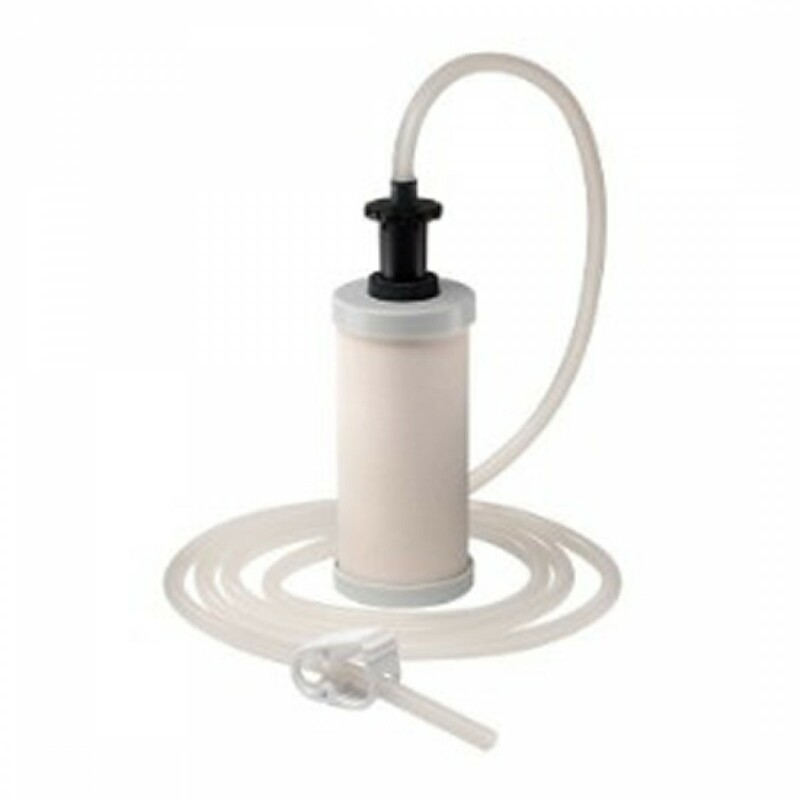 Filtration by gravity is extremely convenient--no pumping or other use of strength necessary. The Katadyn Siphon 1120070 silver-impregnated, cleanable ceramic element will clean approximately 5,000 gallons of water.